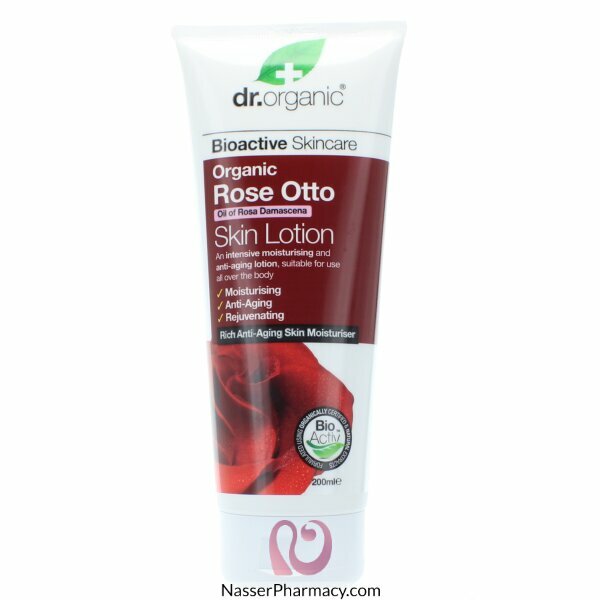 A silky anti-ageing moisturising all over body lotion designed for skin with light daily moisture needs, containing Organic Rose Otto Oil with Aloe Vera, Cocoa Butter, Shea Butter, Liquorice, Irish Moss, Chamomile, Limeflower, Calendula, Passionflower, Vitamin A, Vitamin E plus Geranium and Clove Essential Oils. It calms and nourishes skin without heaviness, maintaining optimum hydration levels and strengthening the collagen matrix. Gentle plant emollients soothe and replenish while helping to preserve and defend the skin from environment and free radical damage. A tiny amount of this luscious moisturiser covers the body leaving skin looking and feeling beautifully smooth, youthful, supple and radiant.